Published: Oct. 10, 2014 at 01:10 p.m. Updated: Oct. 10, 2014 at 07:45 p.m.
A.J. Green is not expected to play in Sunday's game against the Carolina Panthers. 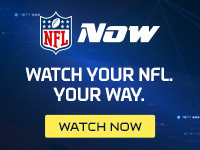 NFL Media Insider Ian Rapoport reported Thursday that the star receiver met with a foot doctor Thursday morning and is not likely to play, according to a source informed of the situation. It's the same bottom-of-the-foot injury as before, per Rapoport. NFL Media's Albert Breer reports Friday that Green will not need surgery, just time to let the injury heal in a precautionary walking boot, according to a team source. Green limped off the field Wednesday after aggravating the injury. When asked Thursday morning by Ross Tucker on Sirius XM NFL Radio if Green had turf toe, Bengals coach Marvin Lewis described the injury as "a little bit more than that." Green missed one game due to the injury and could miss several more after the exacerbation. The Bengals are already without tight end Tyler Eifert, and wideout Marvin Jones is slowly making his way back from a foot injury. "That's why I never put together a game plan based on one guy," offensive coordinator Hue Jackson said, per The Cincinnati Enquirer. "We're not going to crash our game plan. As a coordinator you just have to adapt. You never know what might happen. When we started the Atlanta game I thought he was playing. We kept playing. We want to have all of our guys out there and if they are they are, if they're not they're not. They're not going to cancel the game. We have to go play." With the passing-game injuries, we expect Jackson to rely on running backs Giovani Bernard and Jeremy Hill often against Carolina. Bernard could have a lot of success in the screen game, which was an area in which the Panthers struggled early last week while covering Bears running back Matt Forte.